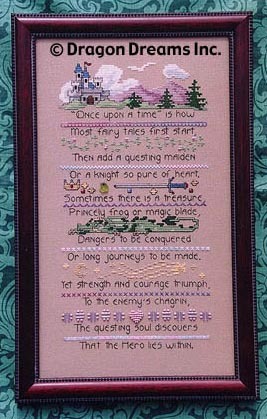 This colour was created for Fairy Tale Sampler by Dragon Dreams. The completed piece can be seen in the Gallery. As colours cannot accurately be represented on screen, for reference, the approximate DMC colours for this fabric are 211, 3747 & 3756.